A scenic picture taken of Mt. Rainer on a clear, blue sky. 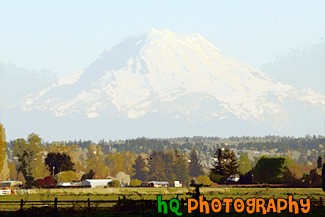 This photo was taken in the farmland in Enumclaw, Washington where the mountain looks big.